Sport, invented for the winning. To show people at their fastest, their highest, their strongest. We switch on and sit down to marvel at a best we didn’t think was possible. We watch to see what can be done, by the paragon of animals. And yet, whilst much of sport’s worldwide charm comes from admiring someone fulfil their dreams and claim first place, I can’t help but think how much of its allure has to do with those occasions when people didn’t fully hit the mark. Some of sport’s most memorable moments must include, perhaps obviously, through the nature of contest, the nearly and the not quite. We should bask in the sunshine shed by victors, men and women who did what they should have, but also accept that sport’s notorious corner for the ‘if onlys’ and ‘almost theres’ should play a more prominent part in why we love it so. Linked, no doubt inextricably, to our own fears and shortcomings, and maybe even that most sinful of pastimes, schadenfreude, we watch sport not just for the winners, but for those who tried everything they could, but for some reason, just came up short. 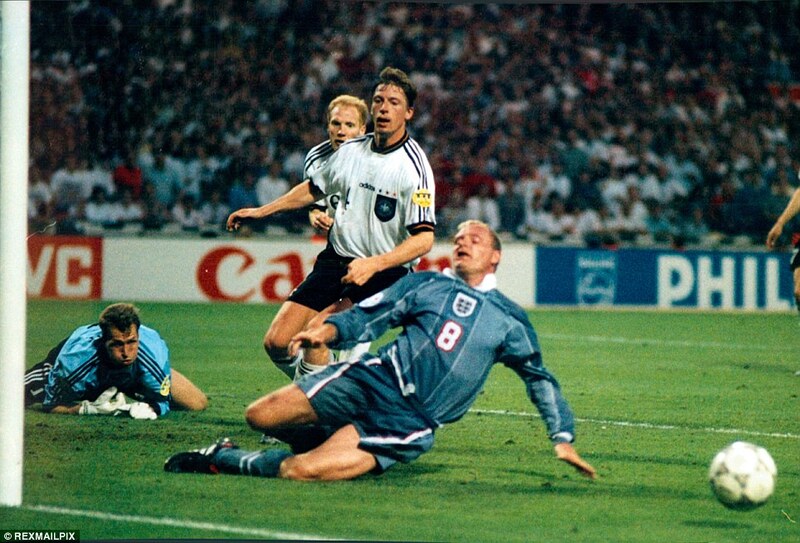 Think about football and England not quite beating Germany in 1996, so nearly making the Euro final; Paul Gascoigne’s desperate lunge at the back post etched painfully onto our memory. And Frank Lampard’s ‘everything but given’ strike against the same team fourteen years later. Muse over why the England cricket team is such a puzzle, from unbeatable to ineffective in less than a generation, the investigation as to what has happened continues to rumble. Ponder on all those silver and bronzes that we seem determined to delight in every Olympics. And why are the northern hemisphere not quite able to match the southern in either rugby code? Then there’s the golfers who should have won a major yet haven’t; Colin Montgomerie’s whole career became about what he couldn’t do. So too was Tim Henman’s for that matter. Sporting history, and perhaps most interestingly, the UK’s sporting almanac, is littered with moments that didn’t quite happen. We are a country reared on a steady diet of sporting victories that nearly came off. You could say, we’re the best at it. Kingsholm, early March, 2015. We witnessed one of the matches of the season, a 33-all draw that both Gloucester and Northampton could have won. It was an incredible game of rugby but you know what, it might have been so much better. And, if you look at the components, you can understand why. All the ‘nearly’ ingredients were there. Gloucester are nearly a very good team. They have the players, the coaches and the ground. However, they can’t quite put it together. I hope it happens for them but for now, they are swinging disturbingly between brilliant and below par. The first half today saw them at their rampant best, but in the second period, mistakes crept in and individual errors meant that this wasn’t to be. It coulda, woulda and, David Humphreys will feel, most certainly shoulda. Northampton are rightfully top of the table. But at the home of the Cherry and Whites, curiously, they can never really get it done: they’ve won once in their last five visits. Of late, in the Premiership, they’ve stuttered to deliver top of the pile performances. They were outfoxed by Sale, and Irish and Quins both made them toil. With the run of games they’ve had, they should really be further ahead. But they’re not. Let’s look at the individual team personnel involved. As far as Lancaster is concerned, Kingsholm fielded lots of men who are there or thereabouts in his squad: Lawes, Wood, Kvesic, Myler, May, Dickson, Corbisiero, Twelvetrees, all spread across the park, all one incredible performance away from a Calcutta Cup inclusion. The blond haired Billy embodies all this latent ability perfectly. He was very good today, like we know he can be, but when placed in England’s 23, things don’t seem to fit into place. He is an almost archetypal England ‘nearly’ man. And alongside him in the Gloucester backline, a man who might have been Wales’ best player for the last fifteen years. It is just they just couldn’t quite decide on his best position. Having returned from France, where it didn’t really pan out, James Hook has landed at Gloucester determined to answer a few critics. At ten today, he showed why a case could be made for him steering that very proud, national ship. Well, almost. Within the game itself, there were shed loads of nearly moments. Pisi should’ve scored; Wilson did, twice, but undid all his good work with ten minutes in the bin; Hibbard might have had a brace but was denied; Purdy was oh so close, called back, the TMO had to intervene; the Gloucester scrum was in the ascendancy all game, but not quite in the eyes of referee Greg Garner; you always felt the home side didn’t really have enough at the interval and so it proved; Myler missed a kick that would have ended up being the difference; Laidlaw thought he’d won it from the tee, but he hadn’t; Manoa, who was consistently excellent, bundled his way over for the final try, and yet, he is imminently off to Toulon. Gloucester almost beat the league leaders in an incredible game. Saints nearly pulled off a famous comeback that would have lived long in the memory. So when the dust settles and everyone has slapped each other on the back for a game nearly won, two important questions remain. The first is for that most vociferous of North Stands, a debate which I’m sure is flitting around the Cotswold countryside like starlings at dusk. 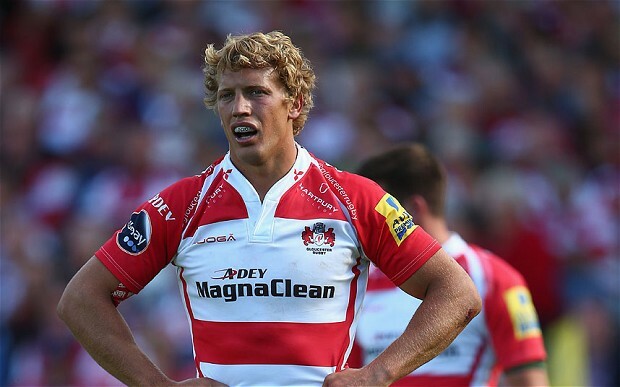 Can Gloucester finally fulfil their potential? Can the team who have threatened for so long, actually deliver next year; become a proper top four side and challenge in Europe’s top tier? Can they put eighty minutes together like their forty today? If they can, nobody will be able to live with them. And as for Saints. As they trundle back to their cul-de-sac in the East Midlands, one query will have them furtively biting their lip. Their resolve and obstinance in the second half was remarkable, they performed in the second forty like real champions, but is that enough to push them all the way? Get them through what is likely to be an incredibly tough semi final and final against potentially better sides than Gloucester? If it is, then they could take their place in annals of rugby history, become a truly great side, and win back to back Premiership titles. The answers are, thankfully, out there and we shall watch it all unfold; the winners and, just as intriguingly, those who will almost make it. The time for reckoning is upon us, nearly but not quite. This entry was posted in rugby, Sport and tagged aviva premiership, gloucester rugby, northampton saints. Bookmark the permalink.